Classic Film and TV Café: The Ipcress File: "Now, listen to me...."
One of the best "anti-Bond" spy films made in the wake of Goldfinger was--ironically--made by the team that made the Bond movies. The Ipcress File was produced by Harry Saltzman, with music by John Barry, sets designed by Ken Adam, and editing courtesy of Peter Hunt. 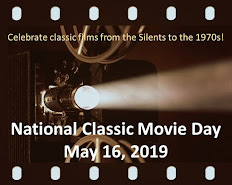 Yet, where the 007 pictures feature action-packed chases accompanied by pulse-pounding music, The Ipcress File is a moody affair set among the drabbest buildings in London and with a subdued (but memorable) score by Barry. Michael Caine stars as Harry Palmer, an Army sergeant detailed to a Ministry of Defence counter-espionage unit. Palmer's file describes him as "insubordinate, insolent, a tricker, with perhaps criminal tendencies." In regard to the "criminal" label, Palmer's superior, Colonel Ross, recruited him from an army brig. However, Palmer is far from a two-bit hoodlum. He is an intelligent man with a taste for gourmet food, an ear for classical music, and an eye for the ladies. In the film's opening, Colonel Ross informs Palmer that he's being transferred to another department to help investigate the "Brain Drain." Seventeen scientists have disappeared, including one that resurfaces but who can remember nothing about his research. Palmer's investigation uncovers one small clue: a fragment of an audio tape filled with strange sounds and labeled "IPCRESS." If The Ipcress File were a Hitchcock movie, then the mysterious audio tape would be the film's "MacGuffin." It's what propels the plot, even though it's not really that interesting once we learn its purpose. In fact, the plot just serves as a framework for the characters, their interactions, and an inside look at the "real world" of spying. The Ipcress File convinces us that spying isn't about fast cars, gadgets, and globe-hopping secret agents. It's about digging through files, conducting mundane surveillance, following suspects, and misleading people. The hero is nameless in the novels. The beauty of The Ipcress File is that it makes this glimpse into the world of mundane espionage engrossing from start to finish. Most of the credit belongs to Len Deighton, who wrote the original novel, and Michael Caine. Although Caine made a solid impression in 1964's Zulu, it's The Ipcress File that propelled him to stardom. He's perfectly cast as the cynical, reluctant, bespectacled Cockney spy who still has a lot to learn about his new occupation. 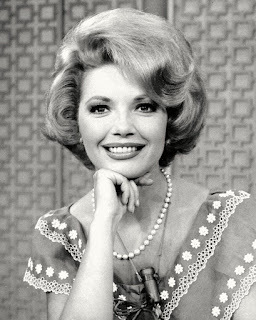 Jean (Sue Lloyd) in Harry's apartment. Producer Saltzman surrounds the young Caine with a a well-cast team of veteran performers. Guy Doleman, who plays Ross, appeared later in Thunderball and as one of the No. 2's in The Prisoner. Nigel Green, as Palmer's new superior, starred with Caine in Zulu and played an older Hercules in Jason and the Argonauts (1963). Gordon Jackson, as a fellow agent, would later achieve fame as the butler Hudson in Upstairs, Downstairs. The talented Sue Lloyd has a small, but effective role as an icy colleague who may have mixed loyalties. Sidney J. Furie's direction has been the source of much discussion among the film's fans. Furie's penchant for bizarre camera angles caused clashes with the traditional Saltzman during the production. I can see what Furie wanted to achieve--by having his camera peer through nooks and crannies, he essentially allowed the viewer to spy upon the spies. However, like Saltzman, I found some of his shots and framing too distracting. 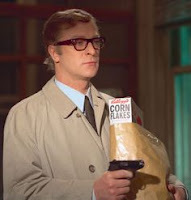 Michael Caine returned as Harry Palmer in two theatrical sequels. Funeral in Berlin (directed by Goldfinger's Guy Hamilton) is as good as, if not better than, The Ipcress File. Unfortunately, the next film in the series, Billion Dollar Brain (1967), is a disaster with typically over-the-top direction from Ken Russell and a comic book villain played by Karl Malden. After a three-decade break, Caine returned as Harry Palmer in two made-for-cable features: Bullet to Beijing (1995) and Midnight in Saint Petersburg (1996). Guy Doleman, Oscar Homolka, and Sue Lloyd appear in some of the sequels. The mundane spy world and the moodiness mentioned make the movie watchable for me. Also, Caine is just so damned good. Puts me in mind of Lang's "Spione" where for most of the film everyone is running around being all "spy" and the solution comes from the tech guy with a ruler. 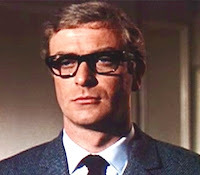 Michael Caine is awesome as Harry Palmer. The scene that is unforgettable to me is where he is being brainwashed and he constantly inflicts pain on himself to try not to succumb. This is an engrossing film and I love your description of it as "anti-Bond". Well done!